Is Cathay Pacific Moving Steadily Away from Freighters? 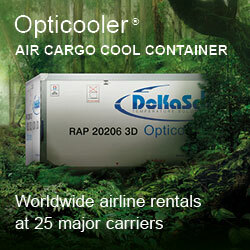 Tough times at the moment for all cargo carriers who are operating on the Far East routes. Yields have been dropping considerably and tonnages are hard fought for as the influx of long-haul belly capacity continues to grow. At least, this is what Cathay Pacific’ cargo management has had to report. The cargo traffic for the Hong Kong-based airline was down almost 4 percent in the first five months of this year. May, was the worst month with a drop of 4.6 percent to 833 million Revenue Tonne Kilometers (RTK’s). The actual (real-time) tonnage for May dropped by only 1.3 percent and this is attributed to a better cargo performance on the carrier’s short routes compared to the long haul. The signs for a freighter pull-back? It was recently announced that the carrier would hand over two of its B747 freighters to Cargolux and Silk Way Airlines. One of these was anyway parked in the desert. Back some years ago CX was the dominating passenger and cargo airline in the Far East from its Hong Kong base. 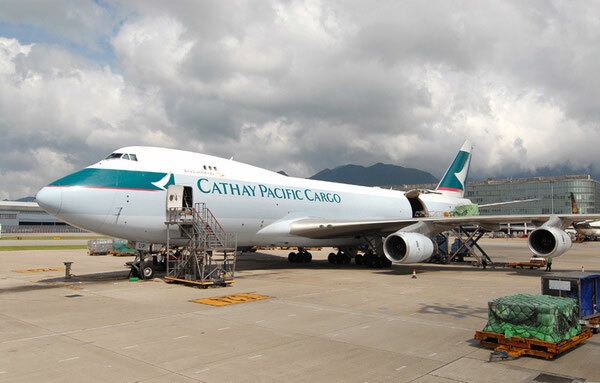 The Cathay freighter fleet is made up of B747 aircraft, which, with their average 120 ton payload are in the meantime a pain in the neck to fill on some routes. A total of 23 Boeing 747Fs are on CX’s books, including the two above mentioned planes which are slotted to leave the fleet. An enormous freighter capacity in a continued hard fought market. Cathay also has seventy Boeing 777 and 54 Airbus A330 passenger aircraft which have a lot of belly capacity. Eleven of the A330s are however operated by Hong Kong-based Dragonair. Cathay - Lufthansa air freight JV - the start of a handover? Lufthansa Cargo and Cathay Pacific Cargo have formed a cargo joint-venture which some say is aimed at trying to meet and combat the challenge from gulf carriers which are in their view siphoning off too much cargo between Europe and Asia. This agreement follows shortly on last year’s Lufthansa - All Nippon Airways (ANA) cargo joint-venture. Will Cathay with their new alliance with LH Cargo now have plans to successively withdraw from their all freighter fleet and make better revenues in the J/V? Considering the capacity on the main routes CX operates on - this may well be the case! The Gulf carriers have the advantage of being able to operate cargo flights from outside hubs into their home base and then transfer the cargo into the bellies of their numerous passenger aircraft. The Asian and European based passenger airlines don’t have that luxury and are presently stuck with flying freighters at high cost over the complete sector. A re-think is in the process. 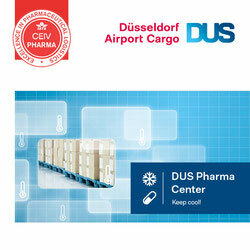 The LH/CX cargo alliance is something very new in the sense that both carriers belong to different airline alliances. Namely LH’s Star and CX’s oneworld. Thx for sending comment. Much appreciated. We fully share your view.